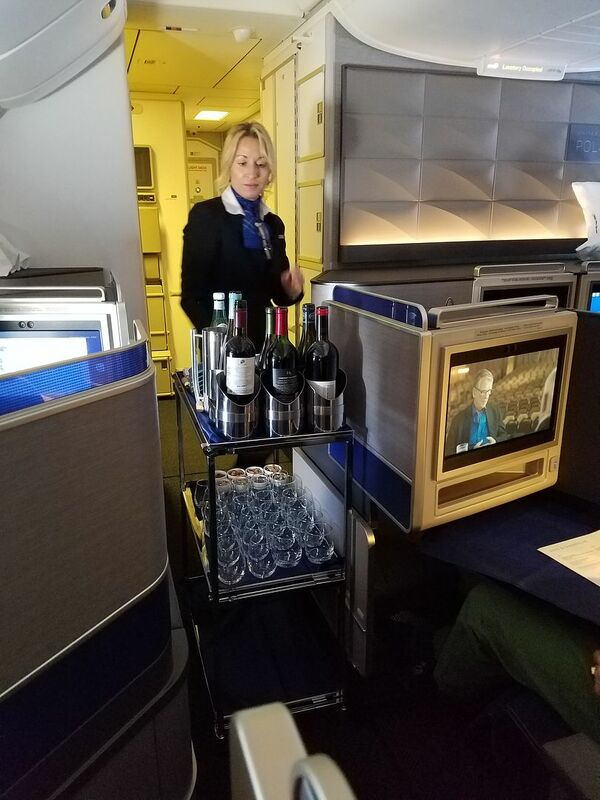 United made a splash introducing its new business class product two and a half years ago. The seat was improved (direct aisle access) but not close to industry leading. What was unique about the Polaris seat was the ability to squeeze a lot of them into the cabin. Polaris wasn’t just supposed to be the seat. 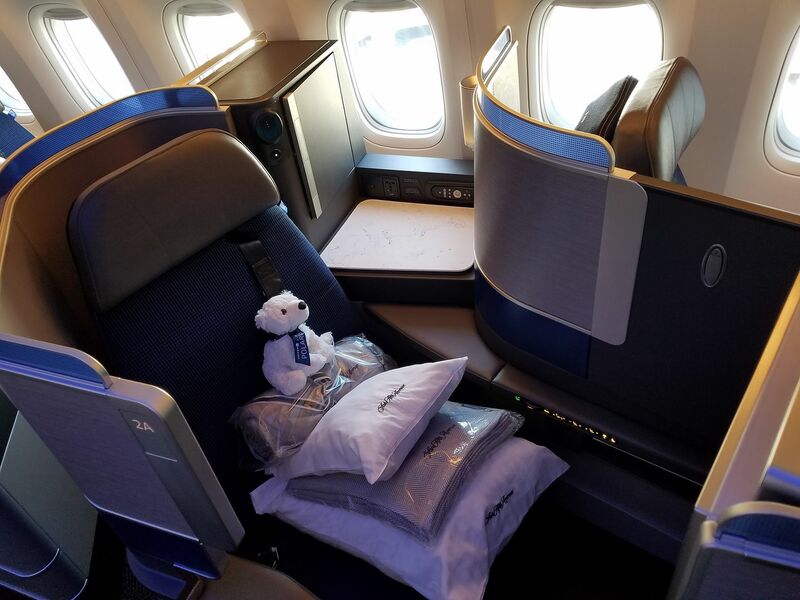 It’s improved bedding – I’ve argued the best in business class – and a more extensive meal and drink service. There have been a number of cut backs to the United business class soft product since then. United says the service took too long and passengers want to sleep. That may even be true. They can speed the service even more by eliminating all service entirely! Changes have included axing the bloody mary and mimosa carts, and wine tasting flights (they were way over expected cost on wine), they eliminated the special, indulgent quality of the product. Then they announced that by preplating meals which only need to be heated they can reduce flight attendant staffing in the cabin. United’s President Scott Kirby described their approach to product as ‘keeping up with the Joneses’ and described how he sees the schedule (that they fly) as their product. It’s no surprise that United sees an opportunity to reduce service even further. Ultimately as the inflight product has become less special they’ve slow walked the seats. They finally have been making progress, claiming they’re adding an aircraft with these seats – through retrofits and new deliveries – every 10 days through 2020. So far only 13 of 51 Boeing 777-200s have the seats, and none of the approximately 35 Boeing 787-8s or -9s in the fleet have them. 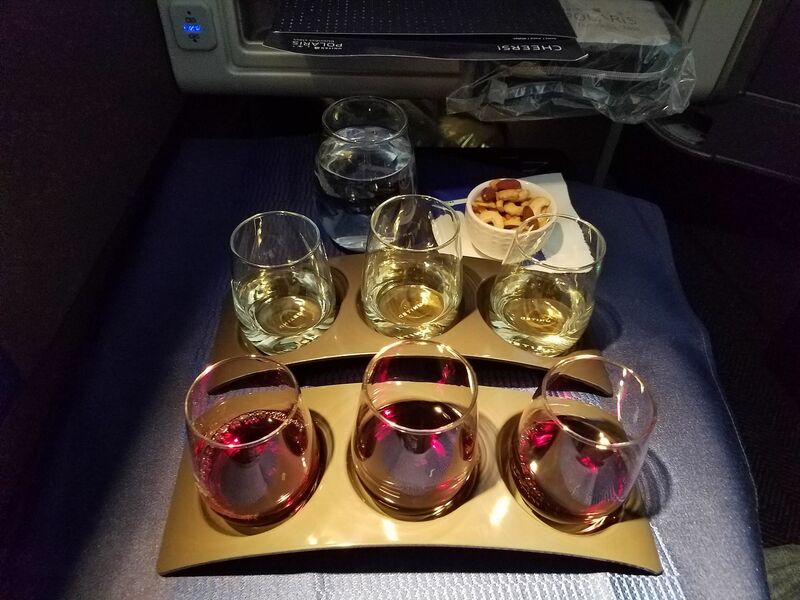 And Boeing 787-9s operate United’s longest haul flights, so it’s appalling they have the airline’s old business class product — the same old seats running San Franciso – Newark fly San Francisco – Singapore. They were delivered with old seats, and to date United had not even announced a plan to ever put new seats in them. I wouldn’t be surprised to see this schedule pushed back, so for now assume if you’re flying a route like Houston – Sydney you get the old seats. As a customer I want the retrofit asap. But there is some logic here. The 787s are newer and more fuel efficient so they want to keep them in service as much as possible. And they are sometimes used on routes with less competition eg SFO-CTU, SFO-TLV. The 777s will be offline for more maintenance which also provides an opportunity for retrofit. Also the 777s are deployed on more competitive high capacity routes. So they get done first. This practice of announcing product improvements years before they are implemented is just wholly dishonest and false advertising. They spend years branding the word Polaris and talking about mimosas and bedding and new seats, without actually providing it and just hoping people are uninformed enough to choose them based on the fairy tale they branded into their heads. I’m writing this from 1B on an IAH-SYD flight. I actually prefer this seat to the new Polaris ones. The new ones feel too confined for my taste. After years as a Premier 1K, I dropped down to Gold and could not be happier by having more $$ in my wallet and getting better service on alternative carriers. The days of loyalty to US airlines is long over; its all about who provides me the most when I want it. Screw United & Scott Kirby. Flew LAX-MEL last year on UA in J. Not the best but it was not bad at all if you select the right seat. Great bedding and nice PJs, which were nice enough the Turkish FA noted them a few weeks later when I wore them SIN-IST. Old news. What’s the point of reading this blog when you just rewrite things from OMAAT. @K – excuse me? Both OMAAT and I picked up news from Australian Business Traveller. I scheduled my post for later in the day based on my own personal preference. Ben and I regularly cover the same things, often I’m first and he’ll hat tip me and often he’s first and so the other way around and we each have our own takes. Flown United Business several times over the last year and finally flew in a retrofitted proper United Polaris seat. There is more space for the feet which I liked but everything else … what’s supposed to be so great about this move to closed off suites? And if you are traveling together with your significant other? Forget about it. Are people really that afraid of flying next to people? As I’ve commented on OMAAT, it could be because United has to keep some of those planes in reserve in case of emergency (but I don’t know their policy, so I could be wrong). With those long-haul planes unable to come back for retrofit so easily it’s just likely they just want to wait until they have more of their orders come in at which time they’d have more craft available to maintain their flight schedules.